gepugg had the most liked content! Wrote over 20 news articles. At the start of your journey in Kingdom Hearts III, you are presented with several different options, as was the case with other mainline games in the series. This takes place in the Dive to the Heart and as you can expect, the choices you make here affect how Sora levels up throughout the game. The first choice that the game gives you is between Balance, Wisdom and Vitality. This is the equivalent of the first two games where you had to choose which power to focus on and what to sacrifice, although the choice here affects stats. As you’d expect, this choice effects which stat will increase more between your MP and Attack. Choosing Wisdom will start you off with more MP and increase that stat faster, but reduce your Attack and give you slightly less health to start with. If you want to focus on magic then go for Wisdom. Choosing Vitality will do the opposite, giving you a higher Attack stat and more Health, but reduce your initial MP and its growth. If you want to focus on combos and attacking then Vitality is your best bet here. If you don’t want to focus on any area in particular and just want an equal experience, Balance is your best bet as it gives you a much more even amount of MP and HP. This is best if you don’t want a big difference between the stats. The exact stats for each choice are as follows: Choice HP MP Vitality 120 100 Wisdom 90 120 Balance 105 110 The next choice comes from whether you want the power of the Warrior, the Guardian or the Mystic. This is the same as choosing between the Staff, Shield and Sword and effects which abilities Sora will get as he levels up. Choosing the Mystic will have Sora gain magic-related abilities earlier on, such as MP Haste and Magic Combo Thrift. This is the best choice if you want a magic-focused Sora and if you chose Wisdom in the previous section. 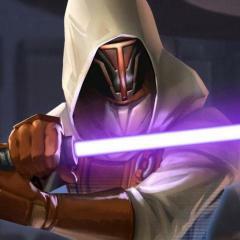 The Guardian focuses on defense-based abilities such as Once More and Damage Control. If you’re playing on Proud and want to ensure you don’t die too often, this is the best choice for you, especially if paired with Vitality. The Warrior choice gives Sora more combat-related abilities such as Combo Plus and Finishing Spiral. If you want all of Sora’s combat abilities as early as possible, then this is the right choice for you. As it doesn’t focus on one section of Sora in particular, this works well for a balanced playthrough. What choices did you make at the start of Kingdom Hearts III? Let us know in the comments below! YouTube user Keytotruth has found several unused cutscenes for Kingdom Hearts: Dream Drop Distance within the game files of Birth By Sleep. You can view the playlist below. 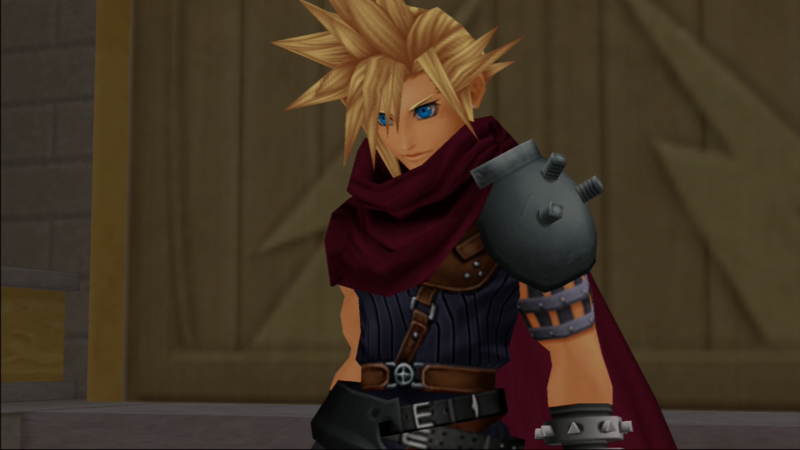 These cutscenes show off footage that was seen in the first trailer for Dream Drop Distance, containing elements such as Heartless that didn't make it into the final game. Keytotruth used areas such as Radiant Garden and the Keyblade Graveyard as substitutes for Twilight Town, as it is technically using Birth By Sleep's data. Regarding the process of finding these cutscenes, Keytotruth said: It's interesting to get a look at what Dream Drop Distance could have originally been, even if it never came to pass. What parts of Kingdom Hearts history are you most interested in? Let us know in the comments below! Steven Burton, the voice actor for Cloud Strife, hosted a Facebook live stream recently where he answered questions from the public. One person asked whether or not Cloud Strife would be in Kingdom Hearts III. Thanks to a Twitter video from user PatzPowerz, we can see Steve Burton answers the question by saying that Cloud Strife won't be in the game. You can watch the video below. Doug Erholtz, the voice actor for Leon in Kingdom Hearts II was also asked a similar question recently, where he stated that Leon would not be appearing in Kingdom Hearts III. You can view the tweet below. This could be due to the actors being under a non-disclosure agreement, but we'll have to wait for official confirmation or see in the final release. Tetsuya Nomura stated in an interview back during E3 that the Final Fantasy characters "required special care" and that we should "Look forward to how the FF characters show up in the game." What do you think this means for Final Fantasy characters in Kingdom Hearts III? Let us know in the comments below! Here it is, the final Kingdom Hearts III trailer analysis (at least that we know of). This is an absolutely huge trailer, showcasing tons of new details and information that we’ve never seen before so let’s not waste any time and start. Before we get into the main trailer though, let’s take a look at the new 30-second commercial that recently debuted in Japanese cinemas! You can watch it below. This commercial opens up with several scenes from the intro of everyone falling to darkness, with Sora saying, “I was able to fight only because everyone was by my side! I can’t do this alone…”. Sora is also crying as he says this. Thanks to context provided from the final battle trailer, we can assume this is after everyone is taken out, which is implied by that trailer. Either way, what a dark introduction! Several scenes are then shown from the Disney world, such as Sora, Donald and Goofy setting out for Olympus Coliseum, and Hercules riding Pegasus in Olympus. Sora is then shown with Remy, who is animated beautifully. Sora is also shown commanding the Black Pearl with Jack Sparrow. Some more gameplay from the Dark Baymax fight is then shown, alongside some scenes from older trailers. A new scene in the Toy Story world is then shown with Woody asking Sora to stay behind and help for a bit longer. Sora, Donald, and Goofy are then seen riding the doors from Monsters. Inc, with Donald and Goofy both being terrified. The “Let It Go” scene from Frozen is then shown to be recreated in Kingdom Hearts III, and it looks incredible. This commercial finishes off with Riku saying, “No-one can stop what your heart commands”. He’s probably talking to Sora there. That’s all for the short commercial, which managed to show off a few cool details without giving too much away. Let’s move to the meat of this analysis with the Final Battle trailer. You can watch it below. The trailer opens up with this quote from Sora: “They can take your world. They can take your heart. Cut you loose from all you know. But if it’s fate, then every step forward will always be a step closer to home.” These words sound very much like an opening quote of sorts, similar to how Sora opened the previous games. The scenes interspersed between these words show Kingdom Hearts being summoned and being surrounded by darkness, as well as Aqua falling into water and being consumed by darkness. This scene presumably comes after her fight with Ansem, Seeker of Darkness in the Realm of Darkness, and is probably what leads to her being possessed. We then get to see the thirteen Seekers of Darkness at the Keyblade Graveyard, standing on raised cliffs that are very reminiscent of their throne room in The World That Never Was. A fun little detail is that Demyx is also playing his Sitar during this meeting, which confirms he’ll be very laid back in serious situations, similar to how he was in Kingdom Hearts II. The next scene then shows a previously-seen clip of Olympus being destroyed by Flame Cores, complete with an extended shot of Hercules’ statue falling down. We also get to see another look at Monstropolis, where we get to see a lot of explosions and fire. A lot of that world so far indicates that Monsters Incorporated will be in a lot of danger. Woody opens up the next scene in the trailer, with the gang in some sort of dark void. We then see Buzz floating in midair before being swallowed the darkness entirely. Creepy! Unfortunately, it’s not clear what’s happening to him here. We then see Rapunzel and Mother Gothel in a scene straight from the film, followed by Sora, Donald, and Goofy riding to save Rapunzel with Flynn and Maximus. Breaking up the sadness, Tigger is then seen leaping onto Sora in the Hundred-Acre-Wood. Bizarrely, we still haven’t seen Eeyore in any footage to date. Scrooge McDuck is then confirmed to appear in Kingdom Hearts III in the trailer’s next scene, where he’s seen talking to Sora, Donald, Goofy, and Remy. It seems he’s relocated to Twilight Town, as we know that’s where Remy’s restaurant is located. A few scenes from the 30 second commercial play here, such as the Sora and Remy scene, as well as the amazing “Let It Go” scene from the Frozen world. We also see Anna suffering from the ice blast, which indicates that the Frozen story will end in a similar way to how it did in the movie. We also get to see another look at Davy Jones and Captain Jack fighting, followed by Sora and Baymax chasing after Dark Baymax and landing a hit on him. This is where the gameplay really kicks in, starting off by showing the recently revealed Stitch Link Summon called ‘Plasma Encounter’ which has Stitch and Sora creating areas of plasma that are then lit up and cause damage when the Link ends. One of the biggest reveals in the trailer is tucked into about five seconds of footage as the second playable character in the game is finally revealed to be Riku. Although this was fairly obvious, it’s pretty cool to see him in action. We get to see him fighting the Demon Tide in the Realm of Darkness, where he is shown using Dark Firaga as one of his Situation Commands. We can also see that Riku is wielding Braveheart in this scene, indicating this takes place after his Way to the Dawn breaks. The next scene shows a brand new Keyblade, which is based on Ratatouille and presumably a reward for finishing the minigame. The Keyblade is transforming into one of its Keyblade Transformations, but if you pause at the right time you can see that it is shaped like the Eiffel tower at the base with the blade looking like a chef’s hat with the Ratatouille restaurant sign as the teeth. Really nice detailing on this Keyblade, even when shown for only a second. This Keyblade transform into a frying fan and uses Speed Form as its transformation type, as shown by the green outfit Sora wears. The frying pan transformation seems to be a shield, as some frames of the scene make it look similar to the Olympus-based Keyblade’s shield transformation. Unlike this Keyblade, however, the Olympus Keyblade’s transformation utilizes Guardian Form. Thanks to a clever cut, we only ever get to see what looks like the finisher for the move, with Sora slamming the pan onto the ground. The combination of Speed Form and Guard Form is reminiscent of how the Hundred-Acre-Wood Keyblade’s transformation takes the Double Arrowguns and Magic Launcher from the Magic Form, but is actually a Guard Form. This combination of two forms could be a unique property of Keyblades which are obtained through minigames. A few minigames are then shown, many of which feature the Pudding Heartless. The first has the pudding Heartless balancing on top of Sora while he uses the Mad Tea Cups Attraction Flow. The objective for this game seems like you have to try and stack as many Pudding Heartless as possible. A cannon minigame is then shown in the Pirates world, where you have to shoot the Pudding Heartless. It also looks like the area shown here is the Ramparts area from Port Royal in Kingdom Hearts II! Another minigame has Sora bouncing on the Pudding Heartless in San Fransokyo, although the objective isn’t very clear. The minigame we’ve all been wanting to see is next with the Kingdom of Corona dancing game. Sora is shown here dancing with other people to a beat, marked by coloured circles on the floor. Each colour corresponds to one of the three commands in the menu, Spin, Step and Clap. Flynn is also seen joining in which is a lovely touch. Sora is then seen doing a spinning breakdance on top of a barrel, which is likely a finisher of sorts. We then get to see a mini-boss from Kingdom of Corona, with a Heartless horse leading two carriages. The health isn’t particularly high, indicating that this might take place in the early portions of the game, but the fact that it’s the only enemy in the area indicates it is indeed a boss of some sort. Sora is also wielding the Keyblade obtained from Arendelle, which means that the Kingdom of Corona world probably takes place afterwards. An interesting discovery in this scene is the presence of ‘Rage Form’ as a situation command. This indicates another Drive Form that we haven’t seen yet, especially since it doesn’t seem to be tied to the Arendelle Keyblade. It might be a universal form that isn’t related to any kind of Keyblade. Sora is then shown diving underwater in The Caribbean. A curious thing happens, where all of Sora’s focus is removed and Jack leaves the party as soon as Sora starts swimming underwater. This indicates that you can’t use Shotlocks underwater, and that only Sora, Donald, and Goofy are able to swim underwater. Sora is then shown fighting a boss Heartless (look at that health bar! ), and this clip shows that when Sora is underwater, his magic changes. We can see commands such as “Sea-Fire” and “Sea-Blizzard”, the latter of which he uses against the boss. An obstacle course using the Gigas from Toy Box is then shown. A new boss fight with Davy Jones is shown. The huge amount of health Davy has indicates this is likely one of the latest worlds in the game. Sora is also seen using the High Wind Keyblade Transformation here. The rest of the trailer then proceeds to show off some Heartless bosses, which might actually be the ‘end-of-world’ bosses. We see a creepy ghost like Heartless/Unversed in the Monsters world that covers the area in darkness and spits out smaller Heartless at Sora. Another Heartless boss is shown in the Kingdom of Corona, which drops rocks and causes thorns to come up from the ground of Rapunzel’s tower. The final gameplay shot of the trailer is of Sora fighting big groups of Heartless using Mirage Staff in the Keyblade Graveyard’s massive Heartless battle. We can also see a new Situation Command here, ‘Trinity Guard’, which could be the Trinity we saw back in the E3 2015 trailer, where Sora and Donald hide behind Goofy as he charges ahead. We’re now at the story-based scenes for this trailer, and oh boy, are there a lot of them to cover. The first is a scene between Lea and Kairi during their training from Merlin. Kairi is talking about going into the ring with Lea to spar. The presence of sea-salt ice cream bars, and Kairi saying “Don’t hold back, Lea. Promise?” is very reminiscent of Xion, and is actually a direct reference to something she said in 358/2 Days. This similarity makes Lea see Xion, which could be what causes him to cry, as seen in the TGS trailer. Kairi is also still in her Kingdom Hearts II attire here, implying this is pretty early on in the game. The next scene shows Sora going to attack Young Xehanort in Toy Box, only for him to phase through Young Xehanort. 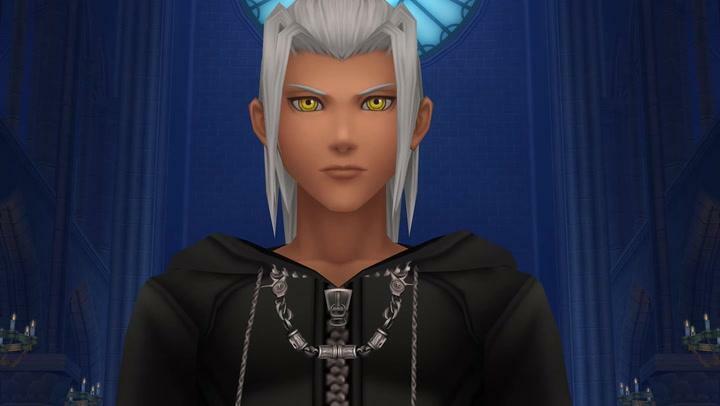 Young Xehanort then quickly whispers, “Find the hearts connected to yours”. Although it’s probably for a nefarious reason, many people have pointed out that he sounds fairly genuine here and might actually be trying to help Sora. Sora’s reaction is rather appropriate, given this possibility. Saix is then seen on top of the large rock spires in the Keyblade Graveyard, talking to another hooded figure about how they’ve let them back into their ranks. This figure is likely someone like Vexen, when taking their overall build into account. Saix also mentions how they’ve been invited back into the ranks, which implies they’ve been in the Organization before. The trailer definitely drums up this moment to make it look like it could be Roxas, but it almost definitely isn’t. 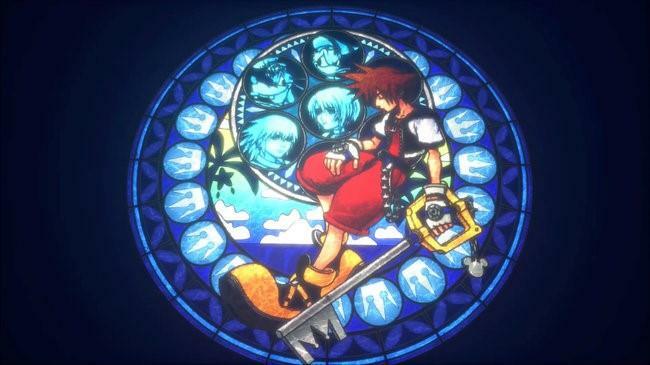 We then get to see the continuation of the confrontation between Sora and Vanitas in Monstropolis, but it seems like Vanitas has the drop on Sora somehow, batting away his Keyblade and being able to picture Ventus’ heart inside Sora’s. Sora’s confusion here makes it clear he still hasn’t encountered Ventus yet. 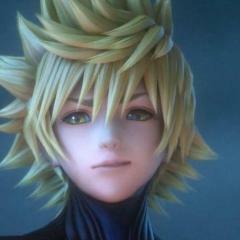 Vanitas is also clearly still intent on joining with Ventus, carrying on his mission from Birth By Sleep. Pete and Maleficent are then seen in the streets of Twilight Town, talking about ‘looking’ for something, which has been identified as the Black Box owned by the Master of Masters. Maleficent says they are on the brink of a Keyblade War, which might mean this scene takes place pretty early on. A continuation of the scene between Chirithy and Sora is then shown, in the same place as it was before. Chirithy reminds Sora that he’s already learned how to restore someone’s heart after it’s been lost, which seems to be a reference to Kairi. Sora returned Kairi’s heart to her after it was lost in Kingdom Hearts, by sacrificing himself to the darkness briefly, which in turn created Roxas. The mention of returning someone’s heart and the presence of Chirithy make it seem more likely that this location has to do with the goal of returning Ventus’ heart to him. Chirithy also has a significant link to Ventus, since they are both heavily involved in the time period surrounding the first Keyblade War, so this seems even more likely. Despite being enemies, we get to see a conversation between Saix and Lea on the top of the Clock Tower in Twilight Town. Saix talks about awakening to a new purpose, which is probably a reference to the True Organization XIII. Lea is also holding two sea-salt ice creams, which could be an attempt to remember Xion, or perhaps an offer made to, and refused by, Saix. Mickey is then seen telling Sora that Kairi is right, and that they’re all in this together, which means that Sora probably told everyone that he would handle it himself. Ansem the Wise then makes an appearance outside the Twilight Town mansion where he pleads with Ansem, Seeker of Darkness that he’s already made enough victims. The Seeker of Darkness actually chastises him, and reminds him of all of the children that have suffered as a result of his research, which is a pretty sobering thought. A quick cut then shows Riku fighting against the norted Riku in the Keyblade Graveyard, while Ansem, Seeker of Darkness looks on. Although this norted Riku is wearing the bodysuit from when Riku was possessed by Ansem (most commonly seen with Riku-Replica), this is presumably still Data-Riku as that version of Riku still wore the bodysuit underneath the cloak. This is also the first time we see Riku using Braveheart in a cutscene, and the first time we hear Riku speak in an English trailer, confirming that David Gallagher is returning as his voice actor. Interestingly, Ansem, Seeker of Darkness is shown in his normal clothing here, rather than in the black coat that he wears in other scenes. Sora and Young Xehanort are seen having another conversation in what looks like San Fransokyo, where Xehanort says that wielding “such power” without care will have a high cost, which Sora seemingly ignores. It’s not 100% clear where this takes place, as although it does look like San Fransokyo’s streets, Sora doesn’t have his visor on. Young Xehanort then says “there’s no saving you’”, which is either a threat or another hint toward Young Xehanort actually trying to help Sora. The majority of the remaining scenes focus on the big battle at the Keyblade Graveyard, with Sora, Riku and Kairi all fighting off the Demon Tide together, until Data-Riku transforms into a massive dark figure. Lea then asks the identity of a hooded figure, who aims a Keyblade at him. Considering Xion previously wielded the Kingdom Key, and this figure looks like she did during her introduction into the Organization, this is pretty clearly Xion which is pretty heartbreaking. Saix is then shown going berserk whilst Xemnas uses his laser dome attack from the end of Kingdom Hearts II. This seemingly puts Lea out of commision as he is shown knocked out for the rest of the scenes in this area. Interestingly, the background of this scene is very similar to the scene of Roxas’ introduction, which could mean that Roxas ends up saving Lea from this attack being fatal. The rest of the scenes show how Sora is left on his own. Sora and Ventus are then shown being strung up with blue chains, which is reminiscent of two characters. The chains are clearly linked to Terra, who inherited that move from Eraqus, but the colour of them is strikingly blue and very similar to the colour of the Flood Unversed. This could mean that it is Vanitas using these chains, which would make sense considering Ventus is involved. The trailer is clearly still trying to hide whether Ventus is awake, but at the very end of the scene you can see him react to the chains and try and move, which means he likely is. Mickey is then seemingly taken out by Luxord’s card games, being sucked into the card and screaming. This is similar to how his battle went against Sora, but the fact that Mickey is here fighting him means that he might not actually be someone the player gets to fight. Mickey is still shown in the other scenes of this trailer, so he probably escapes this attack. A huge red laser, likely from Xemnas, is then shown raining down on the group, although it is blocked by Donald’s staff. This puts Donald out of commision and knocks him out, whilst the rest of the group is surrounded by Heartless and taken away from Sora towards a huge spire of Heartless. Kairi tries to protect Lea (who she calls Axel) and is dragged into the Heartless before reaching out for Sora. 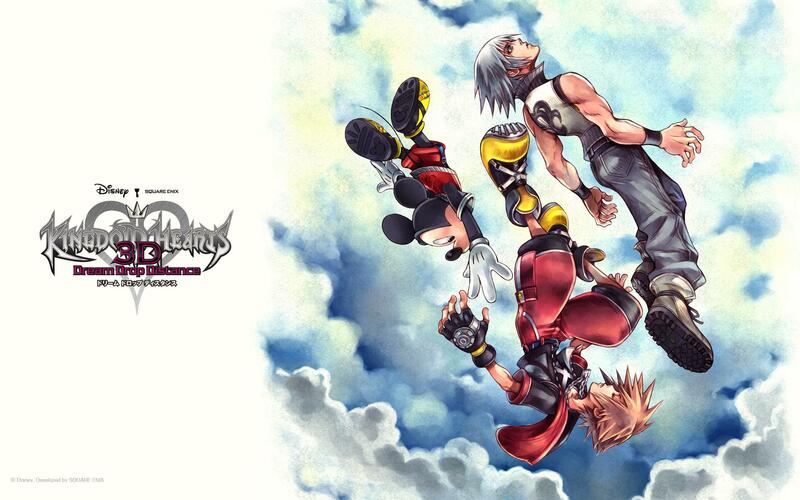 The trailer then culminates with Riku protecting Sora from a huge wave of Heartless whilst Sora kneels dejectedly. Riku is holding them back single-handedly, and saying to Sora, “I know you don’t believe that”, which is likely a reference to what Sora says in the new Japanese commercial about how he can’t fight on his own. The way this scene is shot makes it seem like Riku is sacrificing himself, but they wouldn’t really show that in a trailer, would they? Seems like a red herring, if anything. The trailer ends on a heartbreaking note by showing Sora screaming up to the sky. This scream is truly chilling, and both Miyu Irino and Haley Joel Osment should be commended for this scene alone. What has happened that has Sora so upset? Guess we’ll just have to wait to find out! It isn’t over yet though, as another big reveal is waiting after the logo pops up, showing Xehanort in the town of “Scala Ad Caelum” which roughly translates to “Ladder to Heaven” or “Stairway to Heaven”. This world was previously shown as ‘Cable Town’ in 2014 during the Kingdom Hearts 2.5 HD ReMix launch event, but it’s been renamed here. It looks absolutely beautiful, and hopefully we get a chance to actually explore it before a fight! Xehanort is surrounded by the other Seekers of Darkness, who are all in brand new outfits. He says that this world used to be a seat of power for all Keyblade wielders, and that he and his other selves can “all be one” here. It’s not really clear how Xehanort actually got to this place, but he could have used the power of Kingdom Hearts to restore it, or used time travel to get back to it. The colours of the new outfits also line up with those of the black box that Luxu carried around, as well as the box having the same emblem on it as the town itself which means that the outfits are likely what was in the box. People have speculated that the town itself could even be in the box through some sort of wormhole, but that’s just speculation. 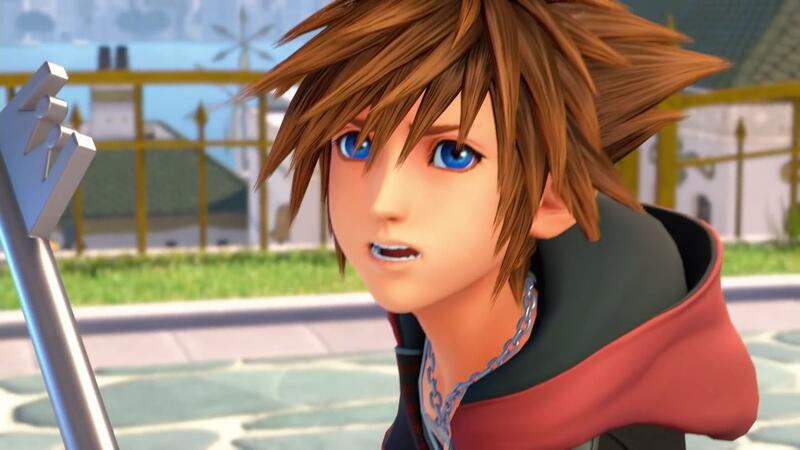 The trailer ends by showing Sora, who looks confused and ready to fight, but also still all on his own. Hopefully he doesn’t have to face this danger alone! And that's everything! This trailer really does raise a lot of questions, especially regarding Scala Ad Caelum and the Keyblade Graveyard. Where are the other Guardians of Light? Why is Sora screaming? It’s only 40 days until we know the answers for sure! Did you happen to see something we didn’t? Let us know in the comments below! Thanks to photos of the Kingdom Hearts III PS4 Pro, the minimum file size for the game has been set at 50GB. 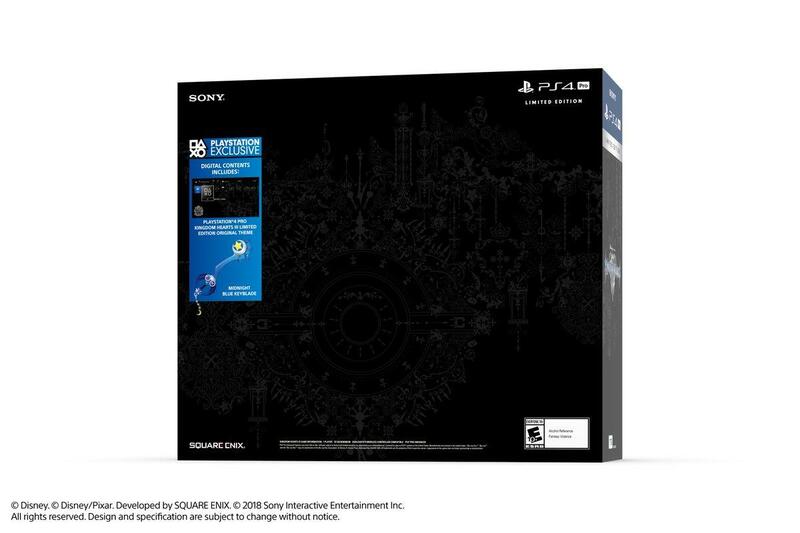 The Xbox Store previously had the file size for Kingdom Hearts III at 35.8GB but packshots of the limited edition Kingdom Hearts III PS4 Pro say that the game needs 50GB minimum. Nomura had previously stated that one of the major concerns for Kingdom Hearts III is its high volume being met by capacity shortage. What do you think of the size of Kingdom Hearts III? Let us know in the comments below! In commemoration of Mickey Mouse’s 90th anniversary and the release of Kingdom Hearts III, “PROJECT: Magic Kingdom Hearts” will be returning September 20th, 2019, for another event at Disney World in Orlando, Florida! The “PROJECT: Magic Kingdom Hearts” movement was founded in 2012 by a fan known as Cutsceneaddict to be an annual, fan-hosted event for Kingdom Hearts fans at the Magic Kingdom with the dual purpose of being a fellowship day, as well as a movement to raise Disney’s awareness of the need to have Kingdom Hearts represented in the theme parks. In 2013, the event had over 120 Kingdom Hearts cosplayers and fans in attendance—some of which flew to Orlando from as far away as Mexico and Colorado. This year the number of attendees is projected to exceed 300. Helmed by the original “PROJECT: Magic Kingdom Hearts” founder, Cutsceneaddict, this year’s event will include special guests from the Kingdom Hearts fandom community, a record-breaking Kingdom Hearts photoshoot in front of the Disney Castle, a park-wide scavenger hunt, photography contests, and more. Participating attendees will be able to win prizes ranging from Kingdom Hearts figurines to GameStop giftcards. “This year, our theme is ‘Making Memories in Another’s Heart,’” commented Cutsceneaddict. “We even have a special event centered on this theme that will allow Kingdom Hearts cosplayers to bond with one another through once-in-a-lifetime experiences and make new friendships.” The event runs in tandem with one of Disney’s annual Mickey’s Not-so-Scary Halloween Party nights, the only time that Disney allows guests to cosplay in the parks. Attendees of the “PROJECT: Magic Kingdom Hearts” event will also have the opportunity to enjoy the park’s fireworks show, parade, special character photo ops, and massive trick-or-treating fest. Since its debut in 2013, “PROJECT: Magic Kingdom Hearts” has gone on to inspire a similar event in Disneyland, California, called Disneyland of Departure (now the Keybearer's Alliance); and numerous Disney cast members and Square Enix staff have supported or attended these events, including Quinton Flynn (Axel), Paul St. Peter (Xemnas), Ray Chase (Master of Masters), Justin Cowden (Hayner), and Mat Kishimoto (Brand Manager for Kingdom Hearts at the time). “This is a climatic year for the Kingdom Hearts series,” Cutsceneaddict stated, “because the release of Kingdom Hearts III marks the peak of the franchise’s popularity. Many fans have anticipated this finale for over half their lives, and Disney is beginning to showcase more of the Kingdom Hearts series, such as the limited-edition Kingdom Hearts Pop-Up Experience at Disney Springs. The mission of this project has always been connection—to connect fans across the globe, and to connect these two Kingdoms [Kingdom Hearts and the Magic Kingdom] together. The revival of “PROJECT: Magic Kingdom Hearts” in 2019 is a culmination of all these aspects, which is why we’re calling this year’s event the ‘Final Mix.’ It will truly be an experience no fan will want to miss.” Any Kingdom Hearts fans planning to attend are advised to register on the official website so that they can be counted in (and also included in doorprize giveaways and other activities). For more information, visit the website at https://www.magickingdomhearts.com/, to register interest and follow the PROJECT on social media! Facebook Tumblr ABOUT PROJECT: MAGIC KINGDOM HEARTS “Magic Kingdom Hearts” is an annual fan-hosted event for Kingdom Hearts fans at the Magic Kingdom in Orlando, Florida. Our vision is to join these two Kingdoms by connecting the hearts of a legion of fans. Come join us with your favorite Kingdom Hearts cosplay or T-shirt, meet other fans, and enjoy the adventure of a Mickey's-Not-So-Scary Halloween event night.